Most people don’t give their roof much thought until a problem arises. Roofing Logic is here to help. We have 35+ years of experience in the field and can guide you through the process. 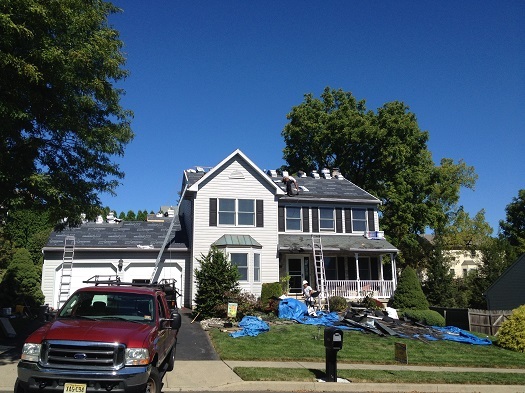 When you are reconsidering replacing your roof, you have some decisions to make. These decisions will decide the cost, quality, and appearance of your roof. The first thing you have to decide is what kind of roofing material you need. The following is your guide to one of the most common types of roofing materials, asphalt shingles. Asphalt shingles are also known as composite shingles or fiberglass shingles. Asphalt shingles are the most common roofing material used in the US. Composite shingles are called that because they are made of a composite of materials as opposed to a single material, such as clay or wood. 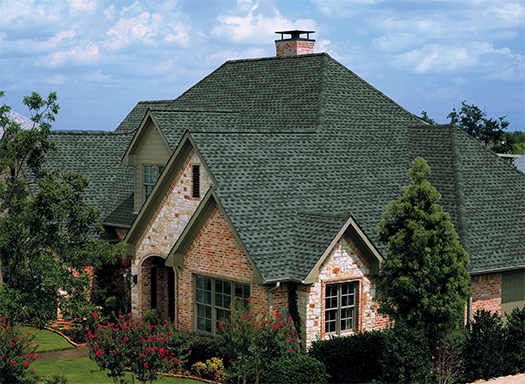 Composite shingles are made of fiberglass mat that is embedded in an asphalt or cellulose mat. Granules of minerals and asphalt make up the top layer. 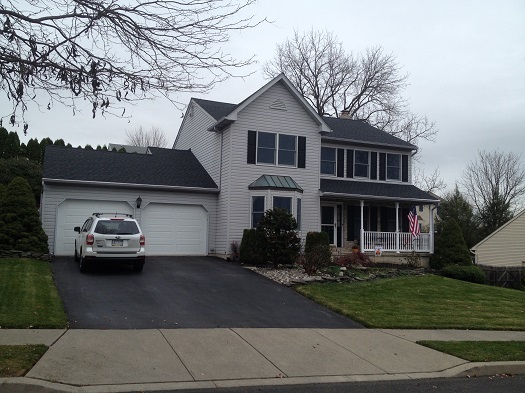 Asphalt shingles are highly durable. You have many colors to choose from, each with its own effect on the appearance of the roof. Because there are so many types of minerals that can be used for the top layer, you can choose from many colors. Asphalt shingles are rated highly for fire resistance. How long to do they last? The technology in roofing has greatly changed in recent years. Roofing materials now include synthetic underlayments and extreme wind protection, and these new materials allow manufacturers to offer a 50-year warranty. Things that can affect the lifespan of a roof include the underlayers, ventilation, and the slope of the roof. When you are considering getting a roof, and are looking at composite shingles, there are some real advantages for you to consider. Modern composite shingles are a sort of the superhero of roofing. They can do it all. They are strong, they last a long time, and they give you a wide variety of choice. Composite shingles are the most cost efficient roofing material available. Installation is easy and fast, and because of this, the labor will not cost you an arm and a leg. Because they are relatively inexpensive, it is easy to order an extra pack to cover future repair patches. They last a long time, up to 50 years, so they won’t have to be replaced for decades. They are the least expensive of all the roofing materials available. Because composite shingles are lightweight, structural stresses are not a consideration. When you put a slate roof on an home, for example, it’s a good idea to get a structural engineer to check your supports so that you know you’re not over stressing your support beams and creating a disaster. 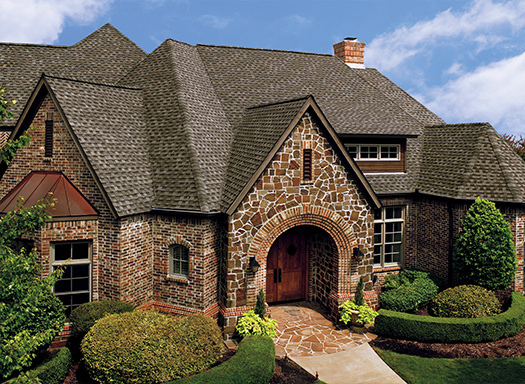 Composite shingles offer you great flexibility without pricing you out of the project. They come in a wide variety of colors so that you can let your creative juices flow while you provide your home with the best protection available in roofing. Composite shingles can be rated up to the highest level of fire resistance as well as impact resistance so they can stand up to fire and hail. A roofing system offers leak barrier under layers, as well as fire resistant shingles.